Bathurst Towing offers a wide range of flexible towing options for a wide range of vehicles. 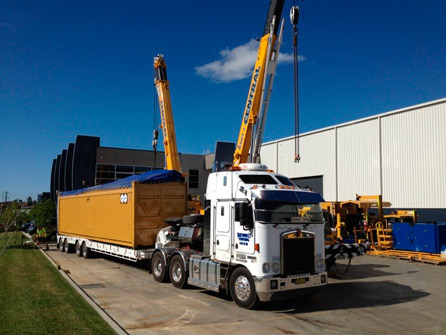 Our trucks vary in size, length, and carrying capacity to accommodate all different types of job applications. We are fully insured, with your goods 100% insured whilst in our control. In our industry, we realise and appreciate the importance of a timely delivery and endeavour to assist wherever reasonably possible. Our fully secure storage facility is available for overnight or long term holding, and is fully alarmed and security monitored 24/7. We are also an agent for the hire and sale of shipping containers of all sizes and qualities.